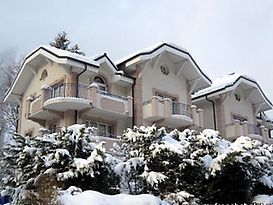 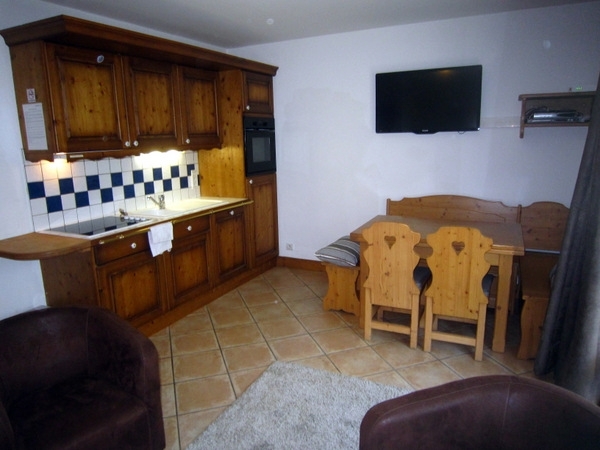 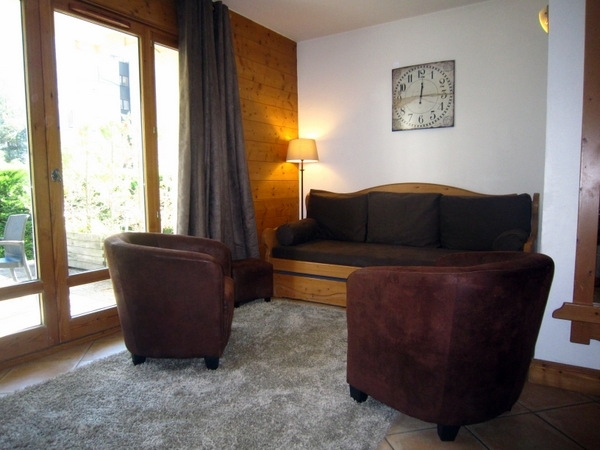 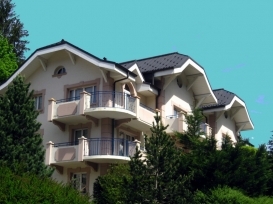 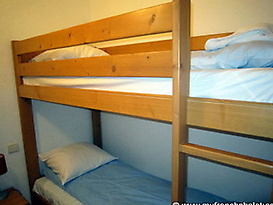 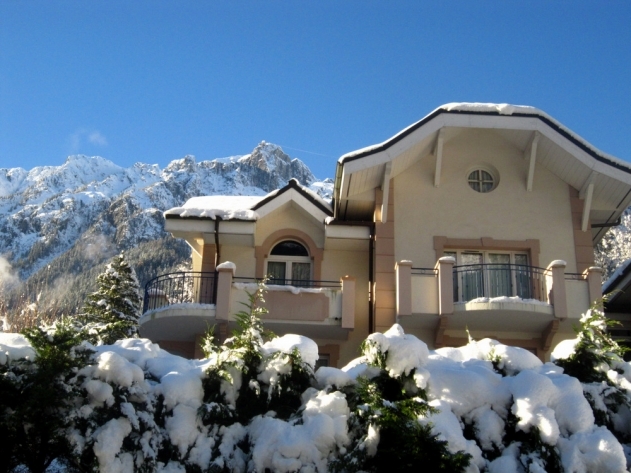 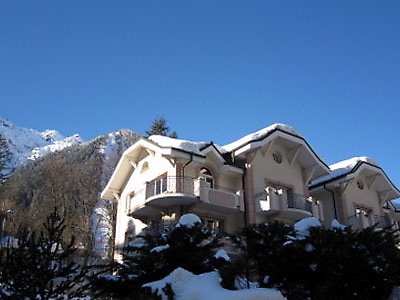 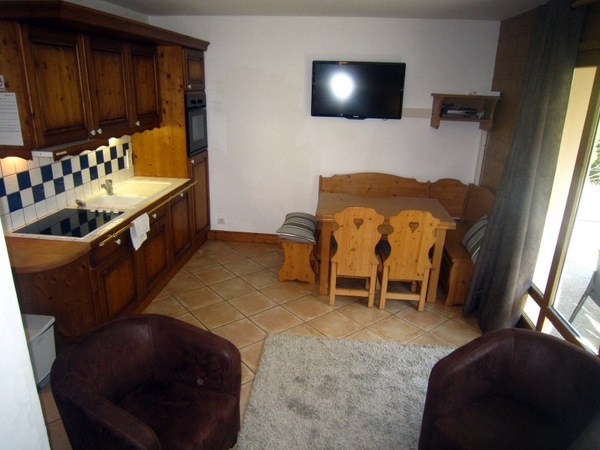 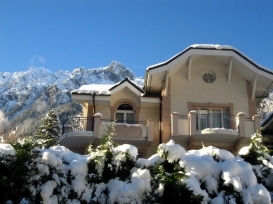 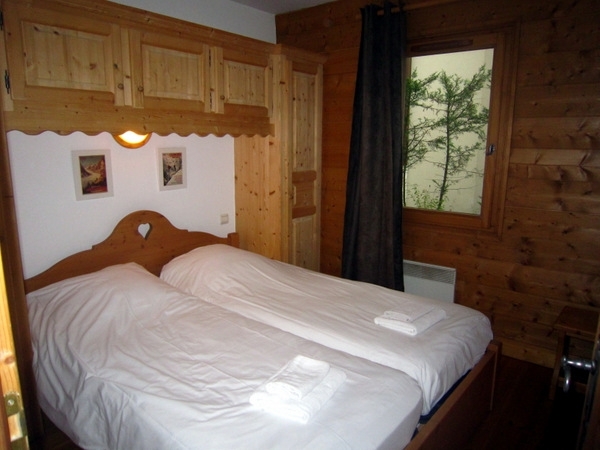 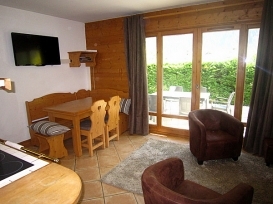 Daily cleaning service, daily linen service and daily breakfast delivery is possible with this chalet. Villa Floria is a superb residence located on the Brevent side of Chamonix with magnificent views of Mont Blanc and the Aiguille du Midi. 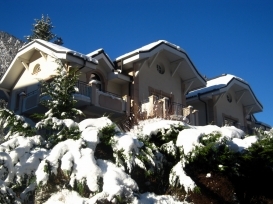 The residence is a small prestigious batiment consisting of only 12 chalet apartments that over look the entire Mont Blanc Massif. 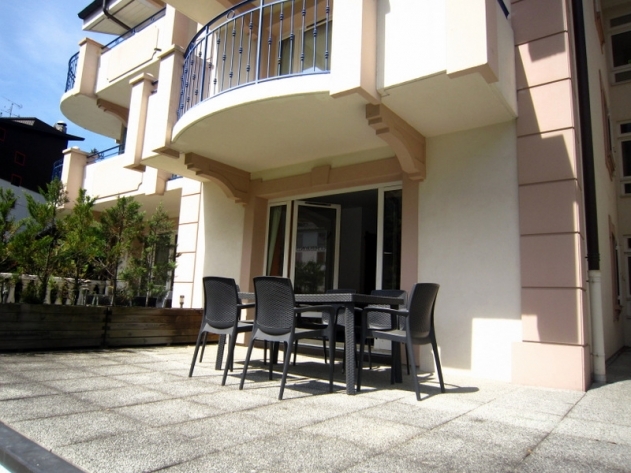 It benefits from being right in the centre of town - only a minutes walk to the main pedestrianised high street Rue Docteur Paccard - but is also set back in a more serene and peaceful environment and is surrounded by a large private garden area ideal for children to play in. 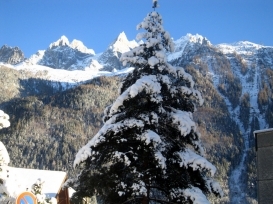 It is an 8 minute walk to the Brevent ski lift and about a 5 minute walk to the Maison de la Montagne - the main ski school in Chamonix. 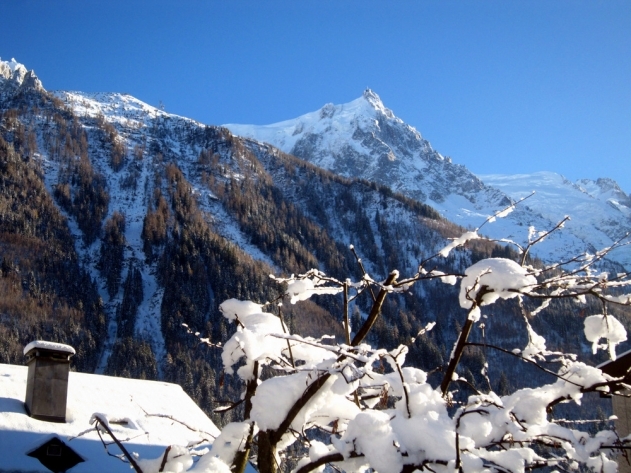 The ski bus that services all areas of the Chamonix valley, is right outside and free with your carte d'hotes. The apartment offers dramatic views of the Mont Blanc massif (Aiguille du Midi, Mont Blanc, Les Drus) - from the lounge or sun terrace you can even watch the Aiguille du Midi cable car going up and down to the station 3800m above. 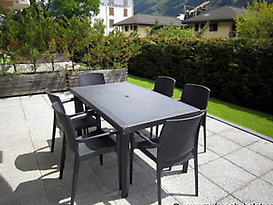 Alcyone is finished to a luxurious and comfortable alpine standard but with modern contemporary finishing - the traditional wooden furniture is top of the range and produced by local craftsmen with large patio doors and windows overlooking the superb Chamonix valley. 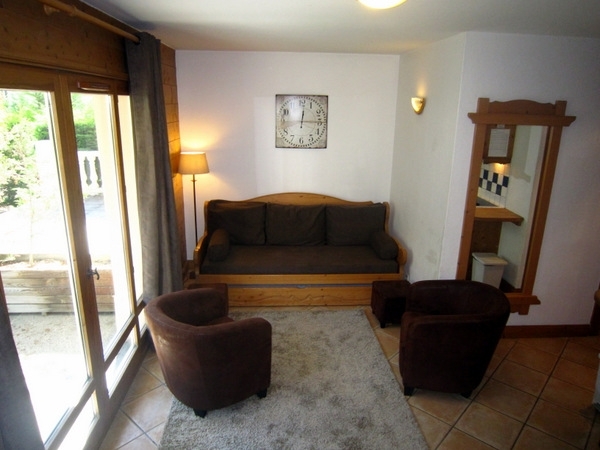 The lounge has ample seating, with a large extendable dining table and banquettes, a long sofa that converts to 2 single pr 1 double bed, 2 very comfortable tub arm chairs, 2 poofs as well as a cosy wool rug. The flat screen TV is HD and has UK freeview installed. The kitchen is fully equipped with a full-size oven, four-ring halogen hob, extractor fan, dishwasher, fridge-freezer and plenty of cupboard storage. Bedroom 1 has twin beds that can form a king size double and with a 'pont du lit' storage unit and under bed drawers; there is also a mirror, shelf and clothes hooks. Bedroom 2 is a cabine (bunk room) with full-size bunk beds, under bed drawers for storage a mirror, shelf and clothes hooks. The bathroom is fully equipped with a bath with shower over it, full size basin, plenty of cupboards and a washer-dryer. 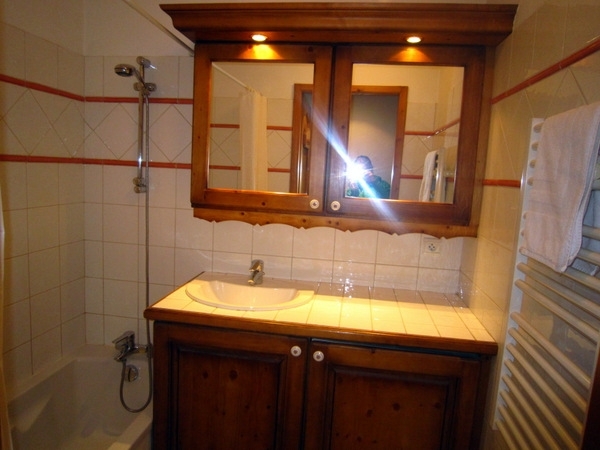 There is a separate washroom with WC, basin and mirror. 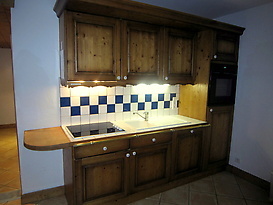 The hall also has a storage cupboard, clothes hooks and a full size mirror. 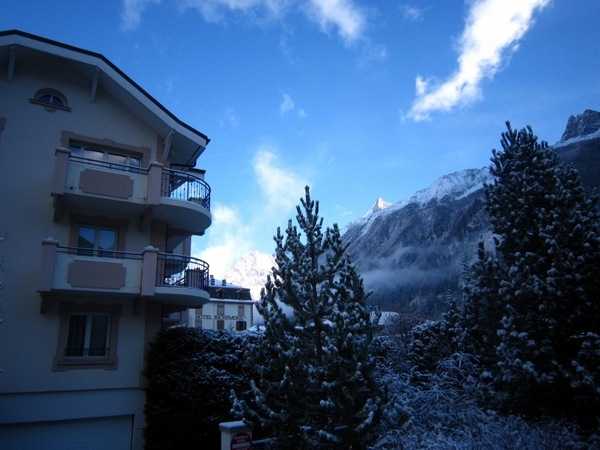 The basement includes a private ski locker and secure private car park space included in the price. 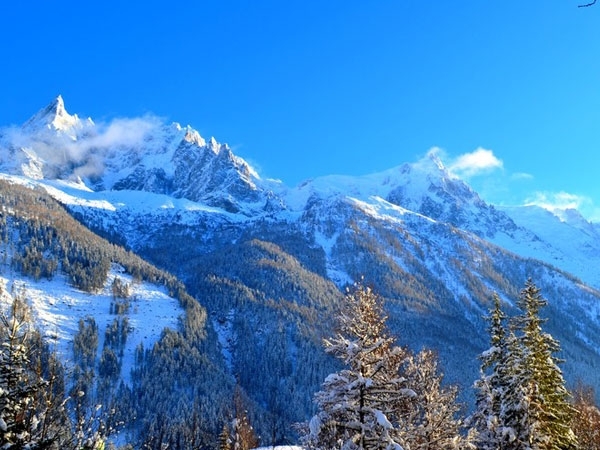 There is a large 45 SQM terrace with furniture for dining which is fabulous for BBQs, lazy days in the sun or apres ski aperos - the views up at Mont Blanc are spectacular. 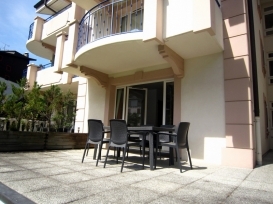 The apartment also comes with a free wireless ADSL internet connection. 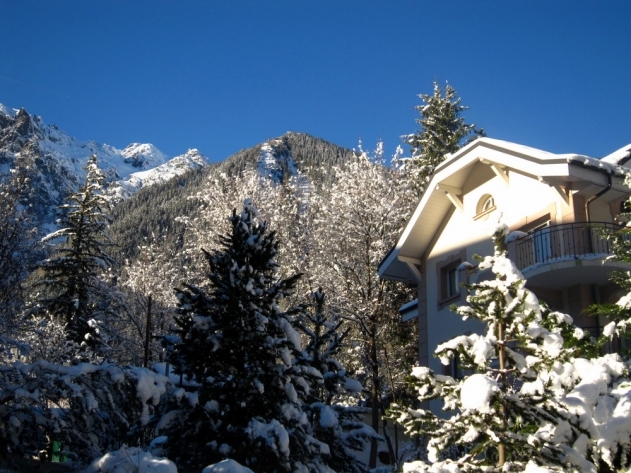 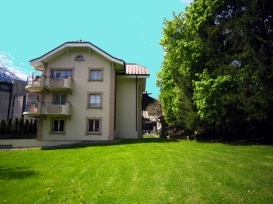 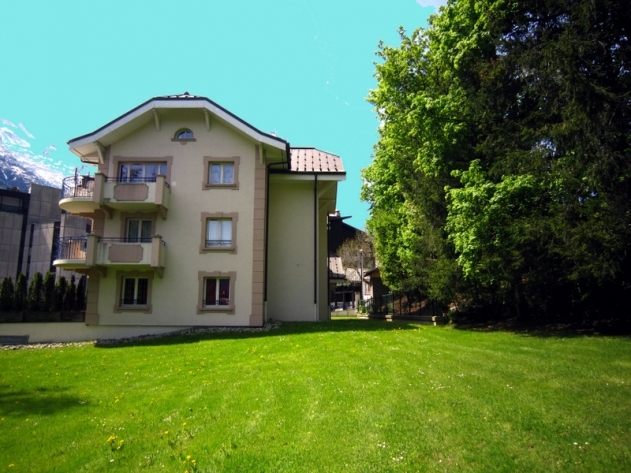 The setting of Villa Floria is just perfect for anyone - a peaceful chalet apartment but also right in the heart of it.